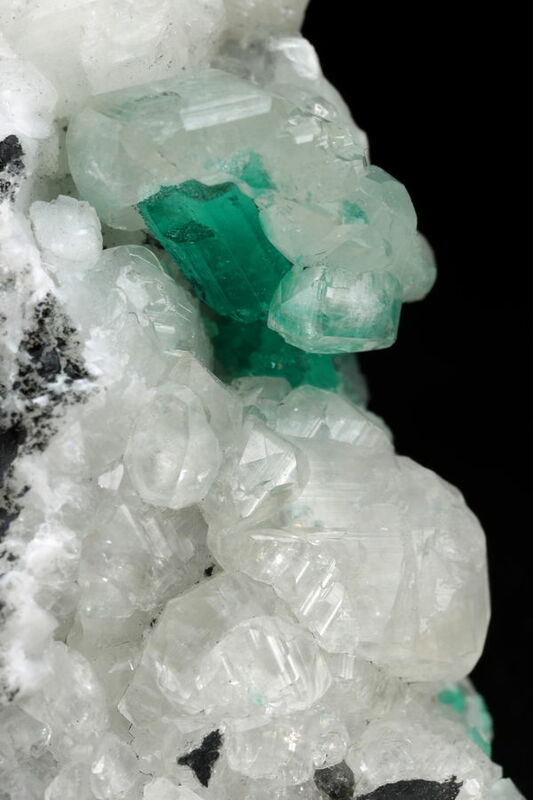 Group of 10+ grass green crystals. Host rock is a bedded limestone. 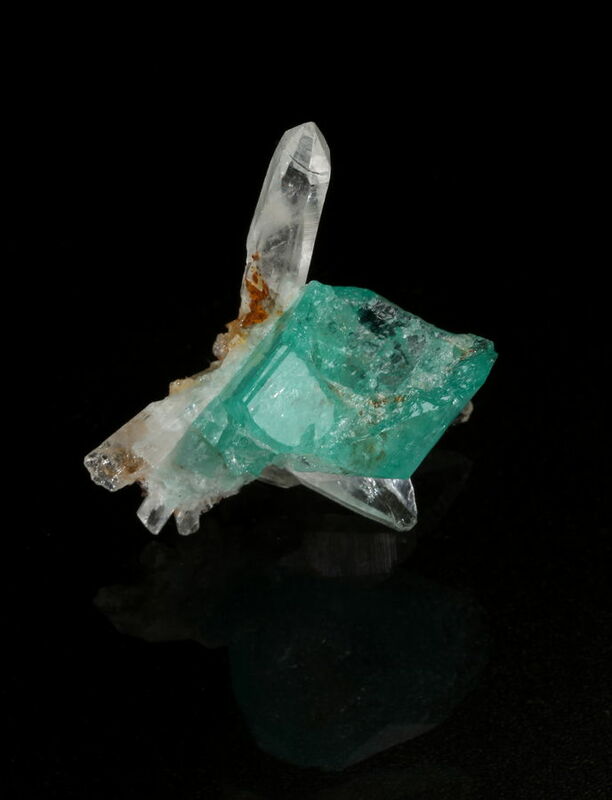 Beryl crystal partly encapsulated in a calcite shell. 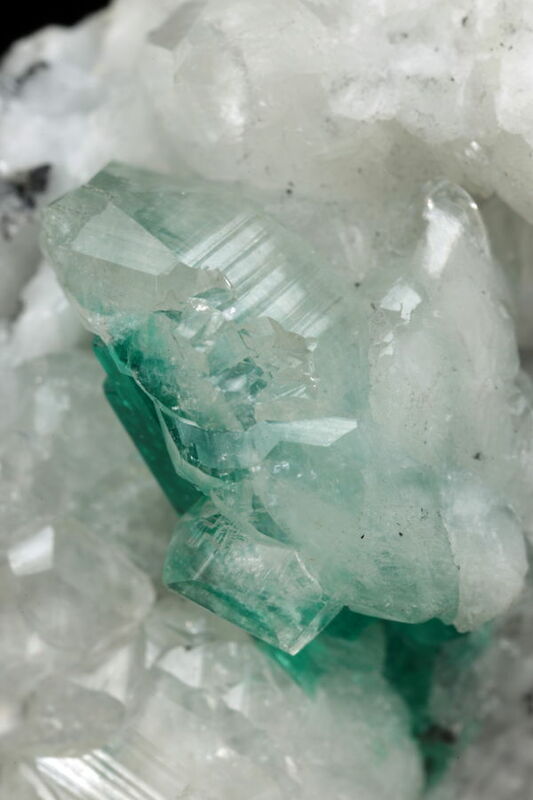 Small beryl crystal has grown on top of the large one. 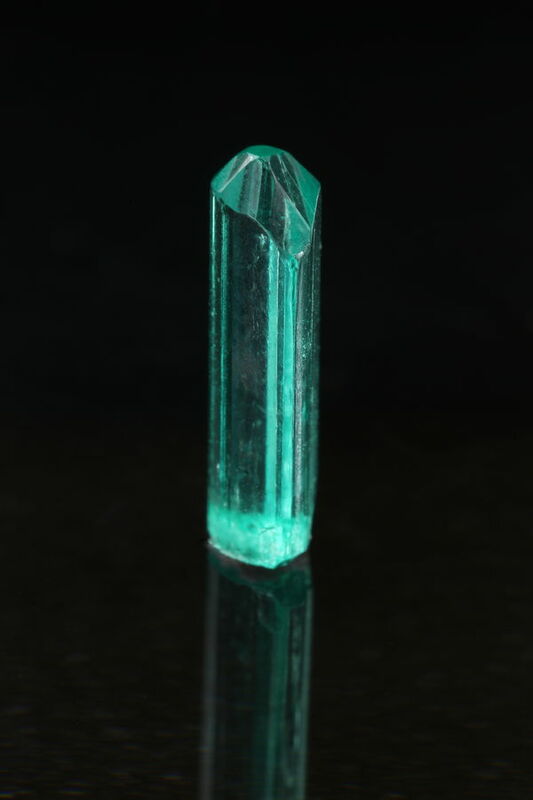 Beryl crystal has a complex pyramidal termination. Just too good to be true! Especially the one with the "baby" crystal attached to its top - what a beauty! These small crystals are sometime overlooked by dealers trying to go for the big sale. The "big sale" wasn't that big at the end and I walked out with a lot of 4 small crystals as a bonus. 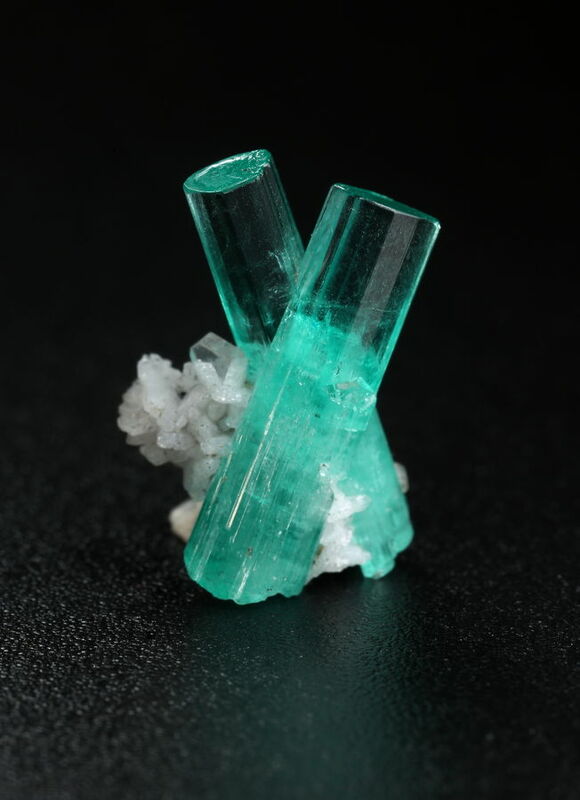 Two intergrown crystals from Chivor. Very likely from the historic mine of Palo Arañado. These small specimens are sometimes overlooked in the Bogota market. With a bit of patience and time, you can find some real treasures at a very reasonable price. 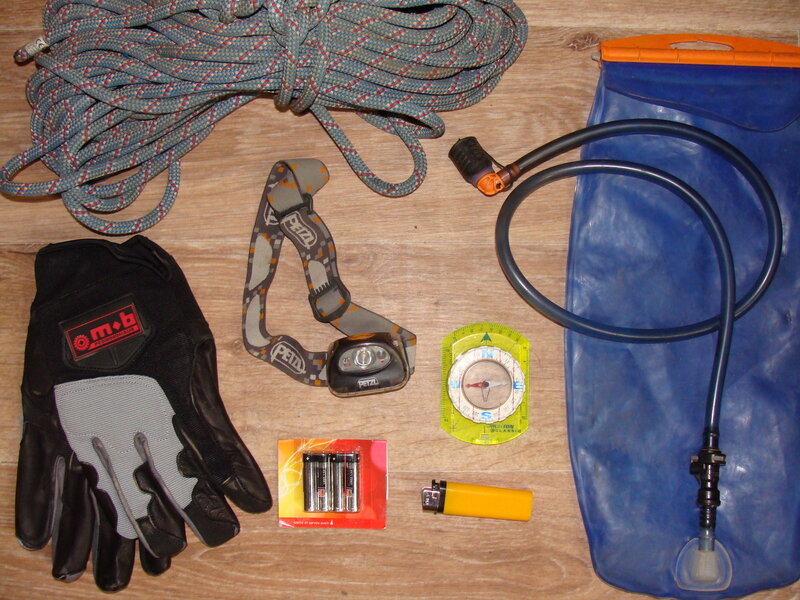 Terminations are heavily included with a vivid yellowish-orange material. This material is from the early 2000s, from an unknown Colombian locality, either in the state of Santander or in Boyacá. 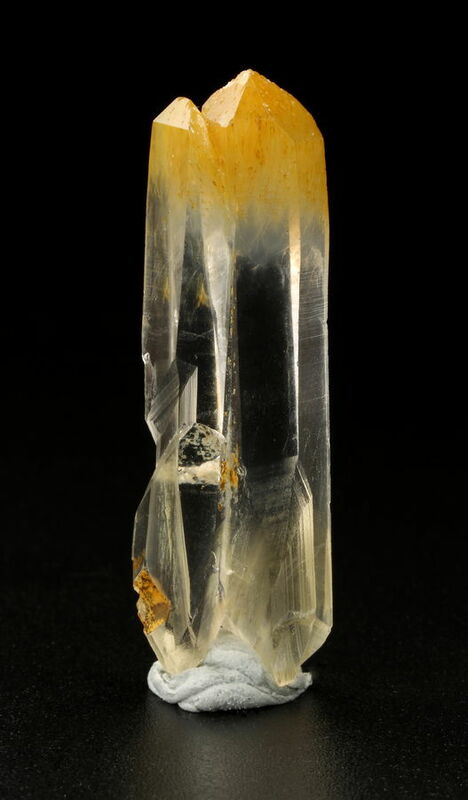 The dealer I got this specimen from believes that the yellowish-orange fibrous inclusions is Humboldtine. In a recent post, John Rakovan mentioned that these inclusions were being analyzed by his team of the Miami University. I have seen similar quartz in Colombia... usually told it's from Santander... whether correct or not. But the ones I have seen aren't usually vivid yellow... the texture of the "fibers" or tubes is the same... but colour ranges from almost white to oxidized brown (similar to the dirt in btw many examples I have seen and bought a few) .... I had always assumed they were just "micro-tubes" getting filled with rust/dirt. Thanks for your appreciation Philippe! Mother nature has certainly done a good job here. The Matecaña mine made the headlines 20 years ago after a pocket full of gastropods was discovered. Never had a chance to have an emerald gastropod in my collection but I was lucky to get my first Matecaña specimen only a few days ago. 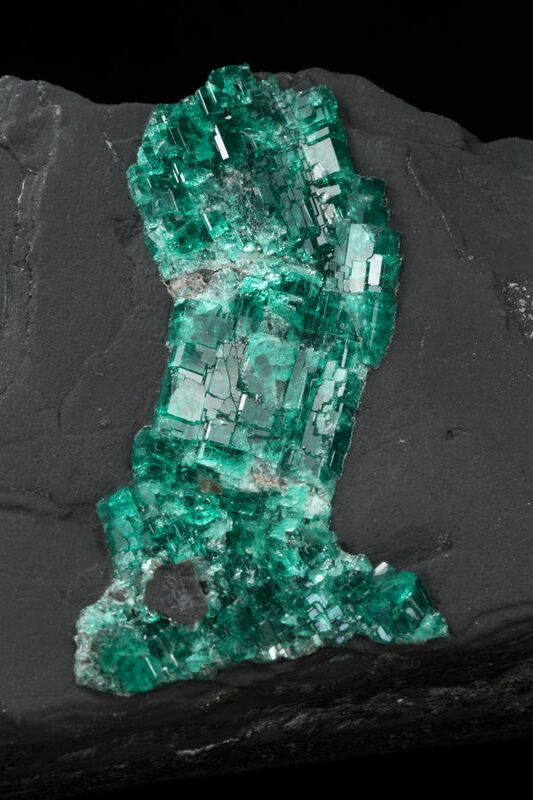 This druse of deep green crystals arranged in an “en echelon” form looks like a vein crossing the black shale. 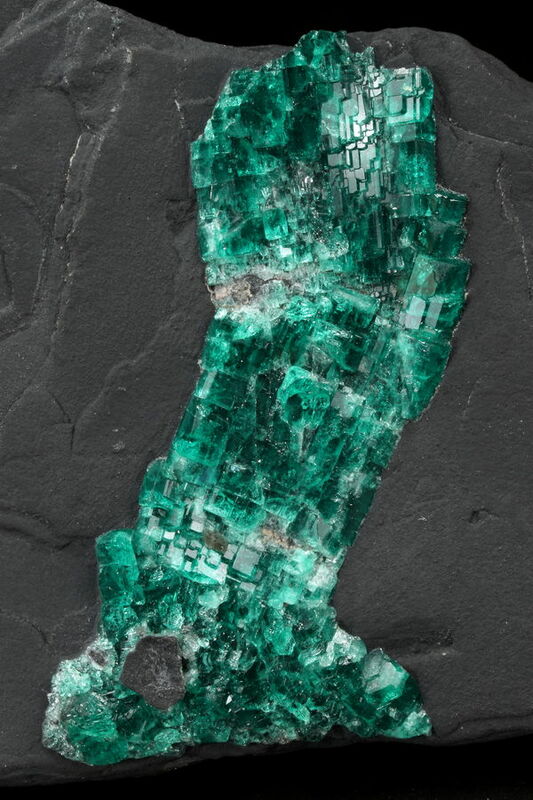 But the unique feature of this vein is that outside the emerald, no other mineralization is seen. Contrast of the deep green color with the black shale is spectacular, much better in person. I was told by a miner who works in the Gachalá area that the black shale found in Matecaña is extremely hard – probably due to the high concentration of silica. 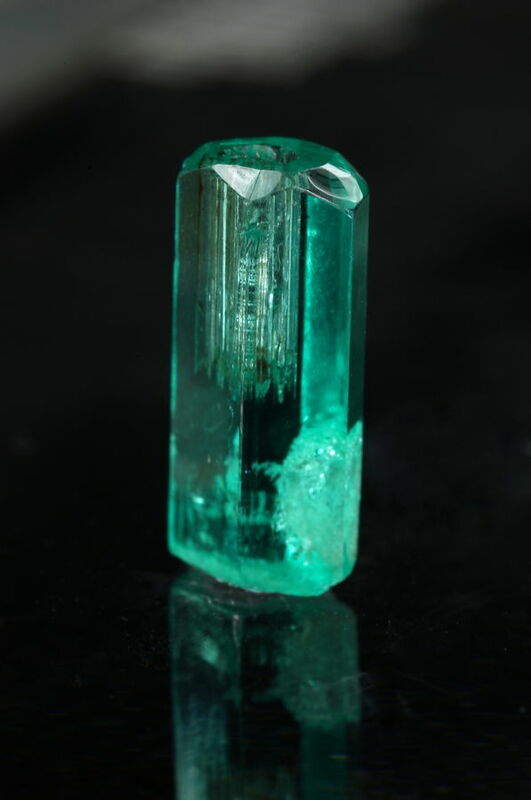 Hollow emerald, only found in the Chivor district. 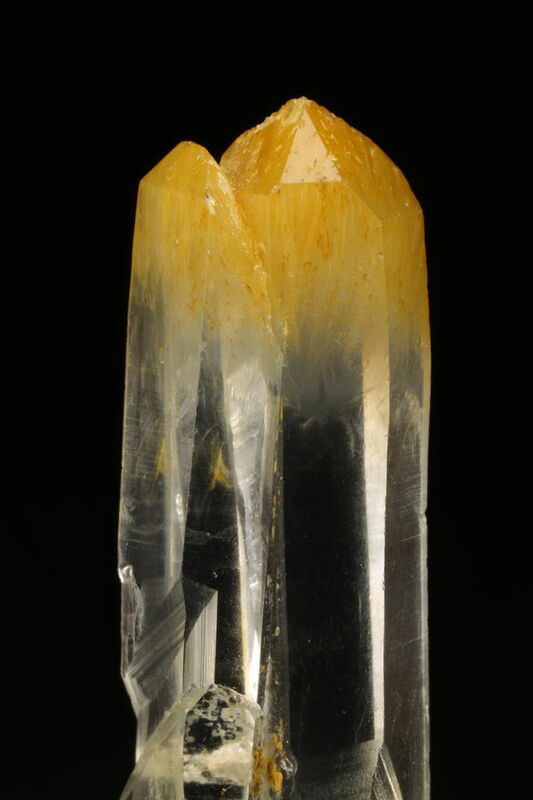 It is admitted that crystals with a central hollow result from rapid growth. 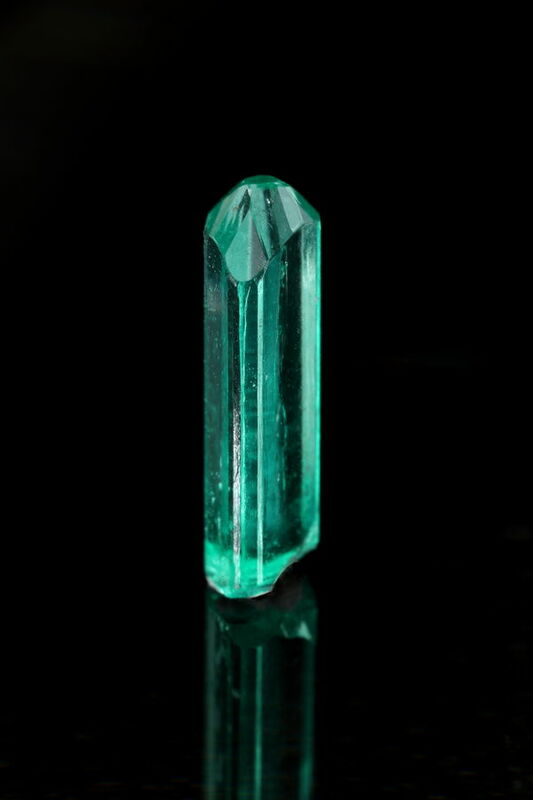 Another hollow crystal from the Eastern Emerald Belt. Hollow form is caused by rapid growth of the crystal. The Matecaña mine made the headlines 20 years ago after a pocket full of gastropods was discovered. These were not ordinary fossils - their shells had been “pseudomorphosed” to emerald following the classic process of “mineralization by dissolution/substitution” Never had a chance to have an emerald gastropod in my collection but I was lucky to get my first Matecaña specimen only a few days ago. 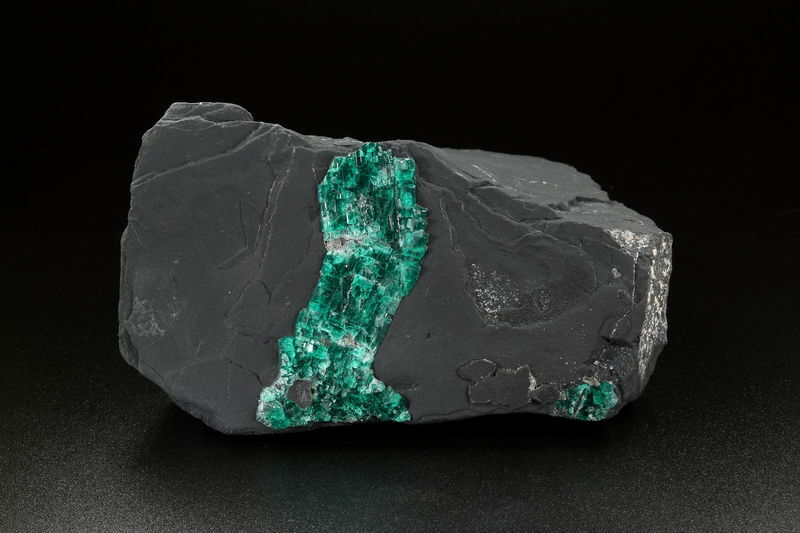 This druse of deep green crystals arranged in an “en echelon” form looks like a vein crossing the black shale. 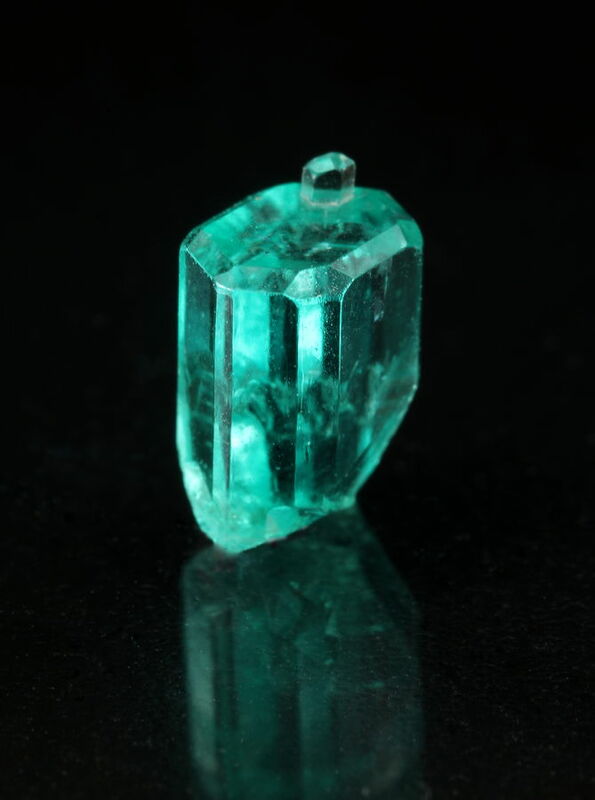 An unusual but outstandingly beautiful emerald specimen, congratulations! Thanks for your appreciation Tobi! 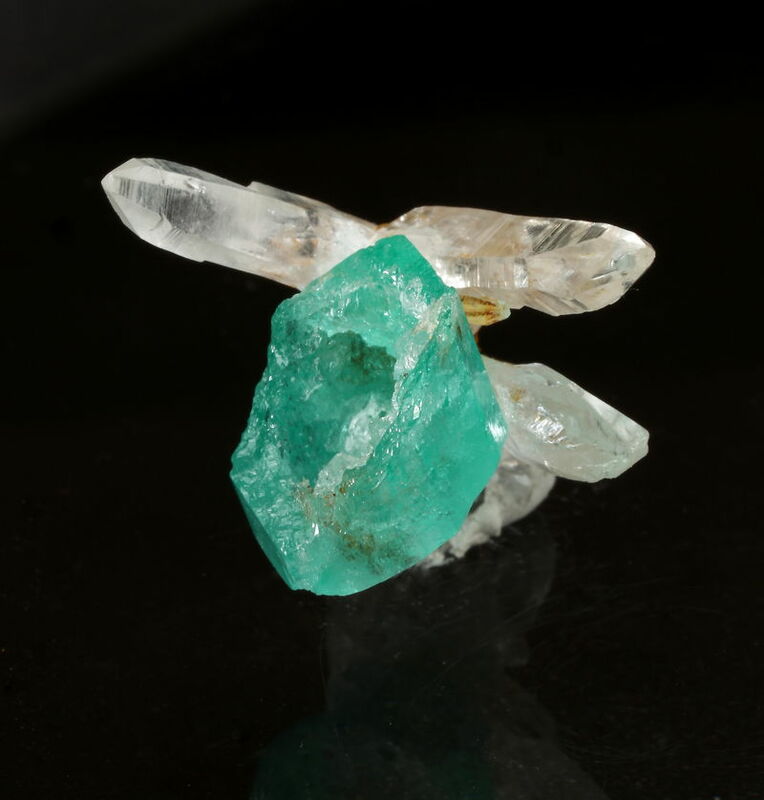 This is a good illustration of the rich diversity of crystal forms found in the two Colombian emerald belts. 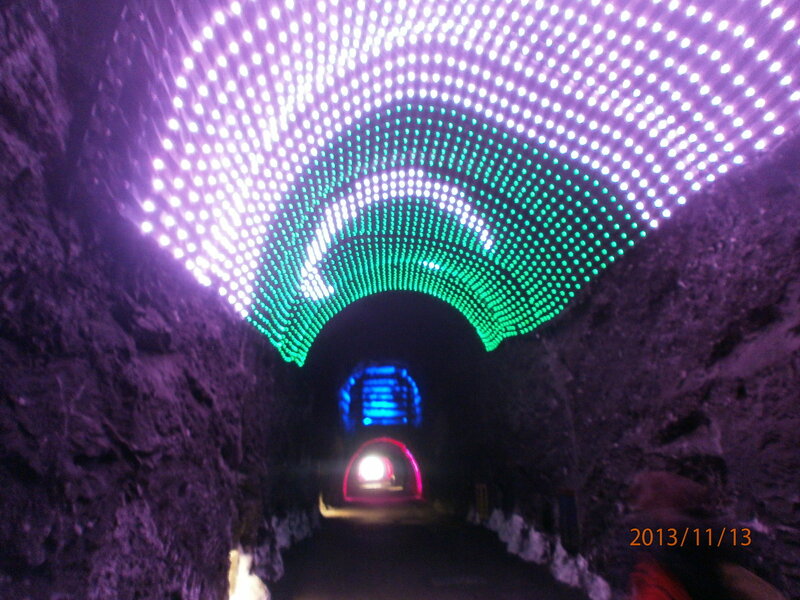 Had a long and tedious photo shooting session due to the ever-changing inclination and direction of the crystal faces. Incidentally this was a (very) rare instance where I could quickly get a confirmation on the locality. It seems like this specimen came from a non-productive pocket and there was no reason to conceal the locality name. 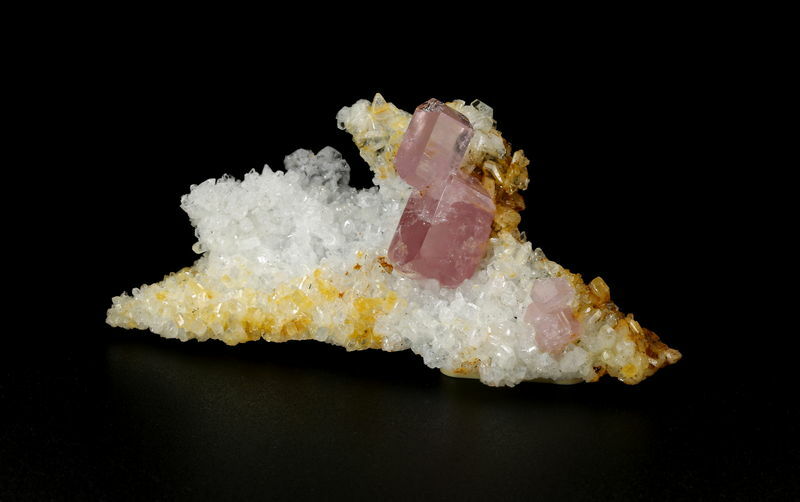 Pink Fluorapatite from La Marina is a relatively recent find. 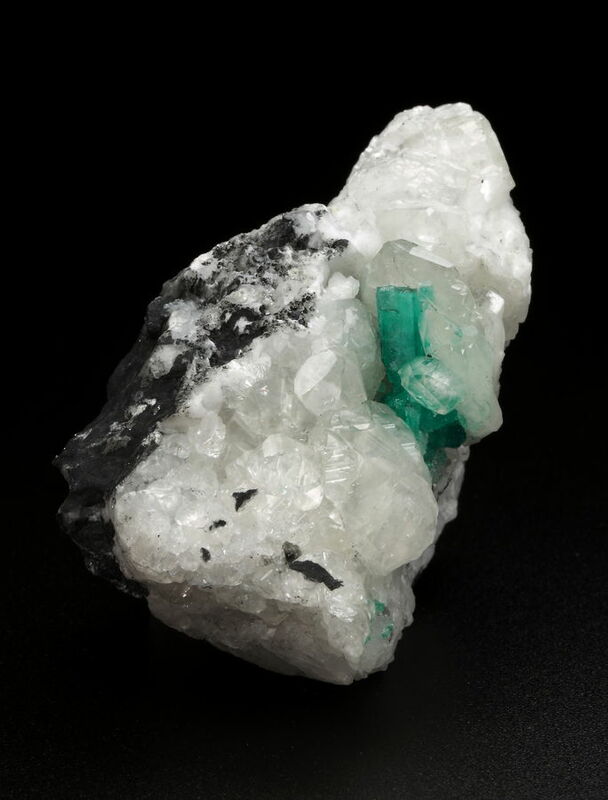 Another desirable mineral found in this locality is the Euclase which is rarely seen in combination with the Fluorapatite. 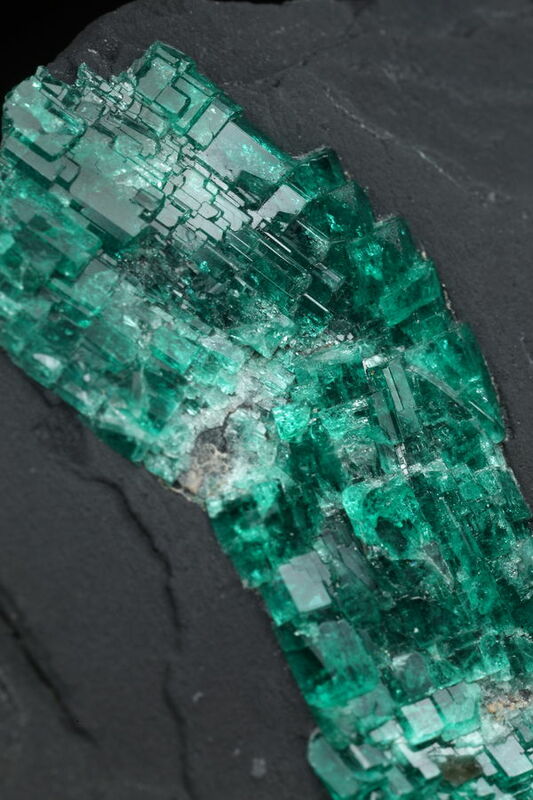 A large pocket of Euclase was found in 2015 and some exceptional specimens could be seen in various US and European mineral shows in 2016. 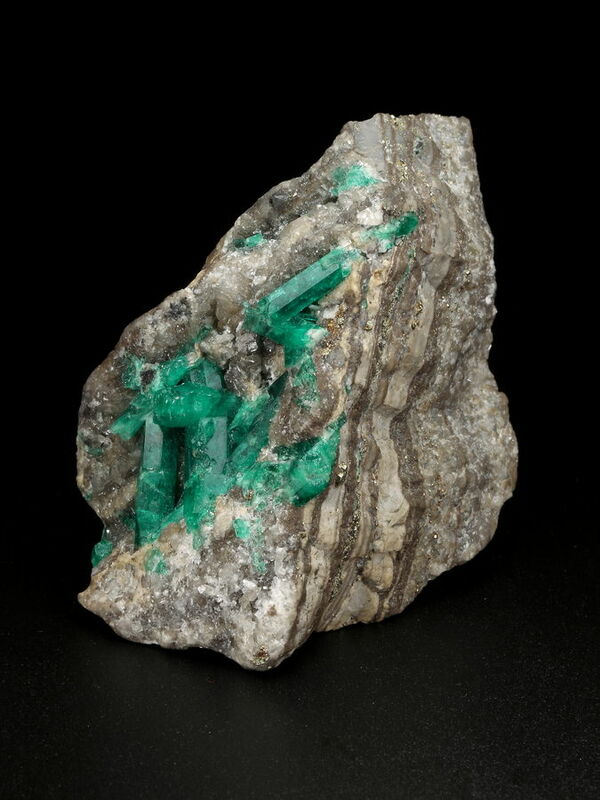 As for the other local star of the beryllium minerals, it is yet to be found in La Marina, although this locality lies in the heart of the Western Emerald Belt. The 2 groups of Fluorapatite stand on a druse of white laminar albite (partly iron-stained). Host rock is black shale. 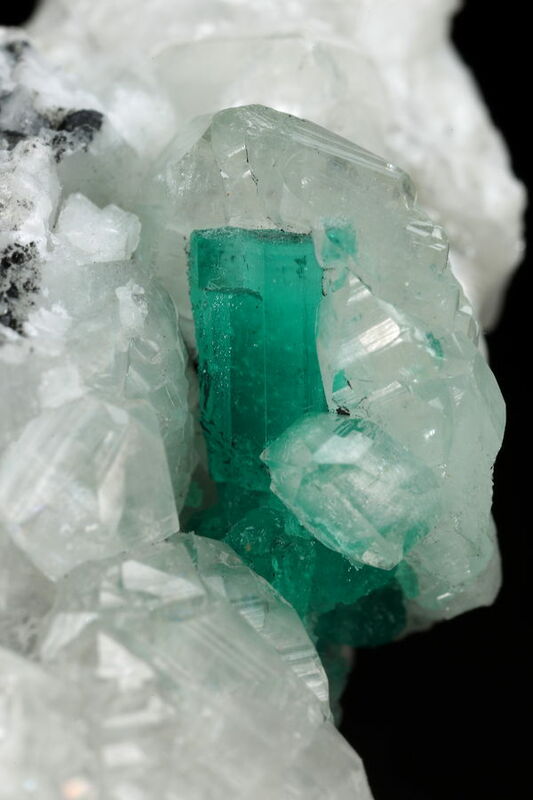 Lovely apatite Gérard, and from a unusual locality, thanks for sharing. It's a pleasure this pink touch in your green jungle. 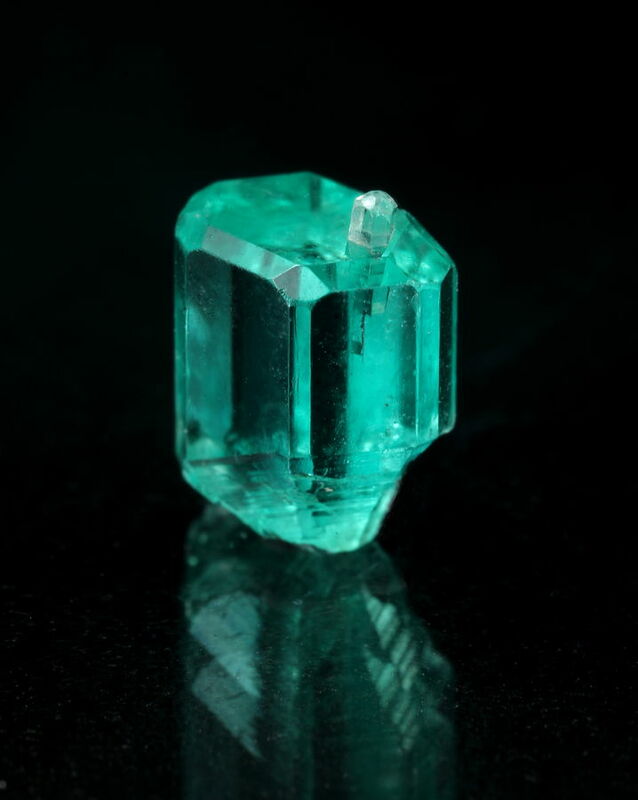 Color and transparency reminds me some Baltistan apatites that are very fluorescent, especially under short wave. Have you checked fluorescence?